surprisingly little smoke, nice decent campfire, harsh dark chocolate, prunes, maybe cherry, rum raisins, also the alcohol you can feel undiluted, of course, strong flavors but nothing dominant, everything is well balanced. With a little bit of water at first a bit more smoke but quickly superseded by more intense dark fruits and now also orange I mean. what a start! sharp! (But not the alcohol, the sharp notes remain synonymous with strong dilution, the description now refers back to my preferred dosage form as described above), salivation without end, chilli, ginger! hot! My God, what did they do? Chili peppers and sliced ​​ginger in the barrel? Or is that the Schubeck under the Malts? "No a bissal ginger and a chilli soiz in addition, perfect!" icon_smile.gif A decent campfire smoke, coffee, dark chocolate, cherries and plums. Despite the chili and ginger force felt clearly, here everything is well balanced. 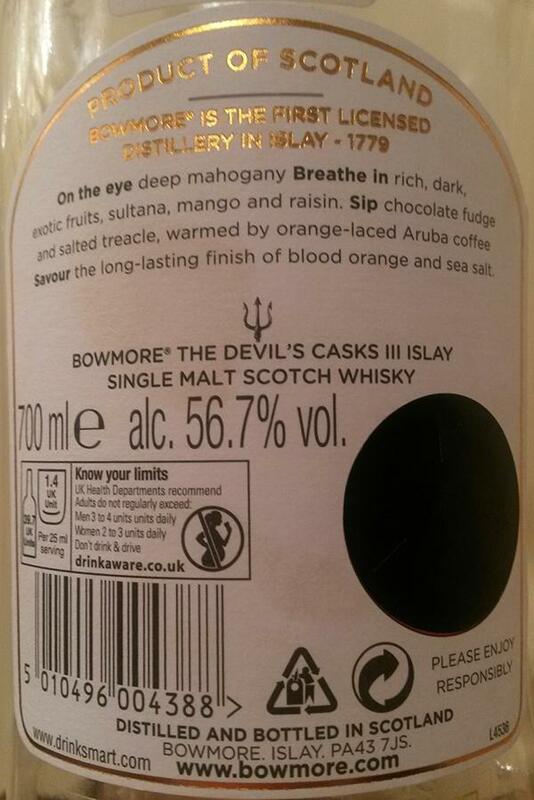 Oak notes, dark chocolate and coffee are just as well as the comforting heat sharpness long beautiful. 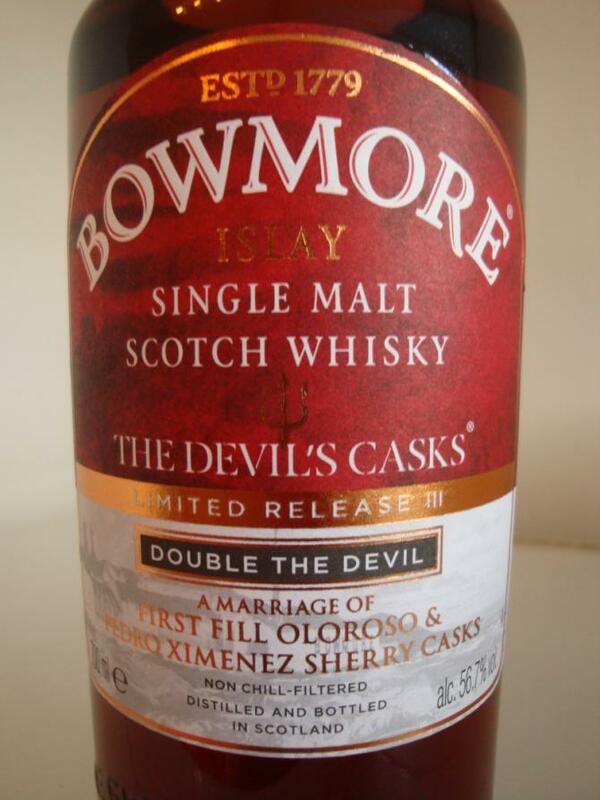 Two years ago I didn't find it that devilish but very good anyway. This is chilli spicy for sure and quite tasty but a bit too unidimensional I guess. Good whisky though. 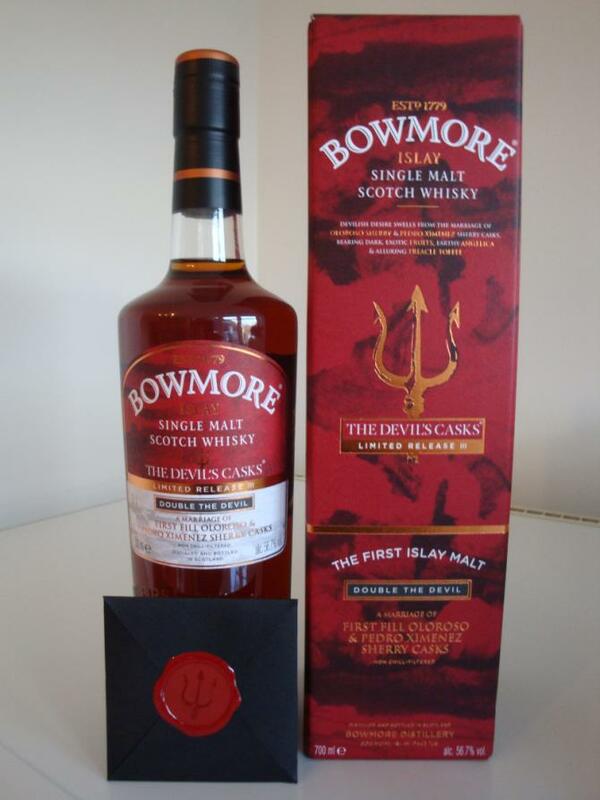 Leather, dried fruits (raisins, prunes), dark chocolate, oak and tobacco. More restrained than expected. More intense. Dried fruits and dark chocolate. Warming and biting spices. Black berries sweetness. Long, lingering sherry notes and spices. Nose: Sweet, dark sherry flavors. A hint of smoke. Caramel and vanilla. A touch of sea flavor and very easy farmy. Taste: Immediately nice sweet sherry flavors. Clearly astringent. Then coffee - roasting flavors. Caramel and some spice flavors. Bitter - sweet and a little more salt. Finish: Astringent. Coffee - toasty flavors. At the end slightly bitter oak and spices. 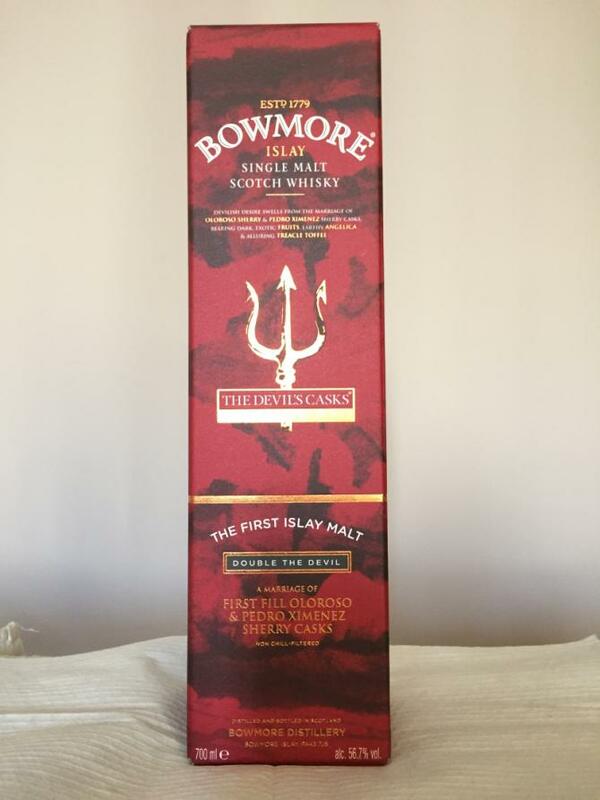 Note: Ideal for lovers of sherry whisky. From me there's 87 points because of the somewhat one dimensional pronounced Scherry character (only !!!). The first-fill sherry casks have done a good job here. 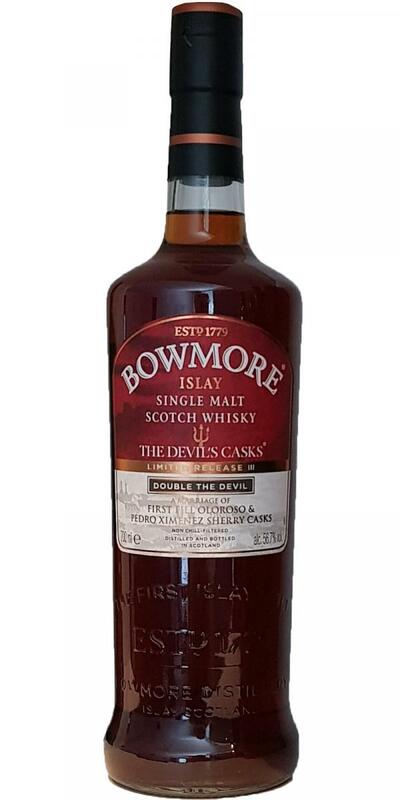 Supplement: In the beginning, I gave only 84 points, but after a few months, after the bottle slowly learned something, the whisky has become much better. Less sherrylastig. Sweetness and some salt are added. Now there are 87 points. Let's see how he can develop further. The nose invites you to linger, the taste beats like a bomb, only the aftertaste is expandable (so ok, but not very exciting). 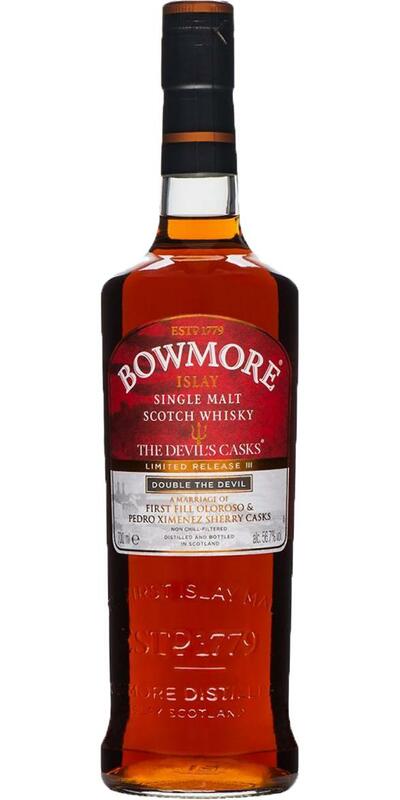 Jim Murray has awarded 92.5 points to the Devil's Casks III.